I am in total denial that it’s Labor Day weekend. Where did my summer go?! The bucket lists we created at the beginning of the summer still have a lot that needs to be checked off, so we’re spending the long weekend concentrating on family time and checking off a few last items. Oh, and there will be plenty of grilling. 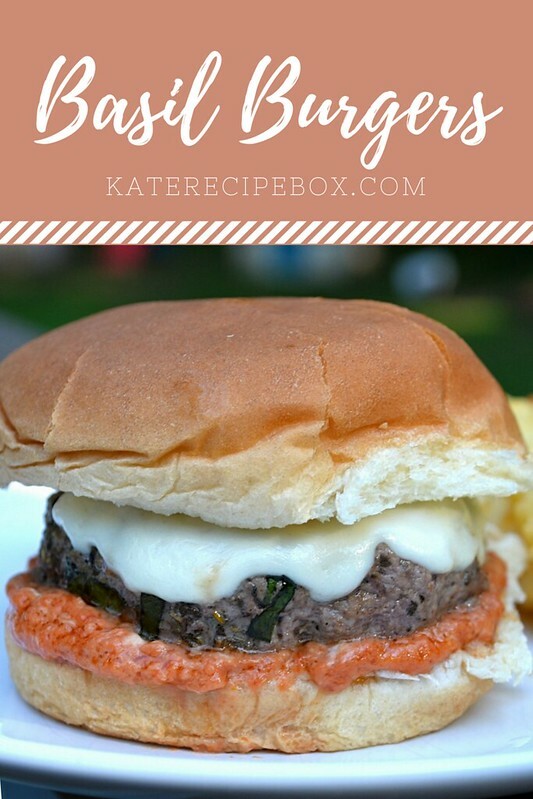 If you’re looking for something fun-but-easy to make this weekend, these burgers are a great candidate – especially if you have a whole bunch of basil to use up. The addition of the basil makes these fresh and perfect for the end of summer. Add the dried tomatoes to the water and let sit for 5-10 minutes. Drain and add the tomatoes to a food processor, along with the mayonnaise. Process until smooth. In a large bowl, combine the Worcestershire, basil, Italian seasoning, garlic, salt and pepper. Break up the ground beef over the spices, and mix until well combined. Divide into 6 equal balls, and form into patties. Grill over medium-high heat for approximately five minutes per side. Add mozzarella during the last minute and allow to melt. Serve on buns with sundried tomato mayonnaise. Note: Post contains affiliate links. The beginning of the year always has me a bit reflective. I tend to spend a lot of time thinking about what the new year will bring, and what I want to take into it. One of the things I’m super pumped for this year is the travelling we have planned. We already have a trip to Austin, Texas booked and ventures to Ocean City, Maryland and Lake George, New York are in the works too. We’re also debating a fall/winter trip and I’m hoping to make it up to Boston too. It should be a great year for travelling! One of my little traveling traditions is to pick up a cookbook from everywhere we visit. I’ve amassed quite a little collection – and one of my goals for the year is to use them more. I picked up Spike Mehdelsohn’s The Good Stuff after a D.C. trip a few years ago. We had eaten as his restaurant We, The Pizza and loved it. The Good Stuff is pretty much a guidebook to turn your kitchen into a burger joint – never a bad thing! There’s nothing terribly revolutionary here. 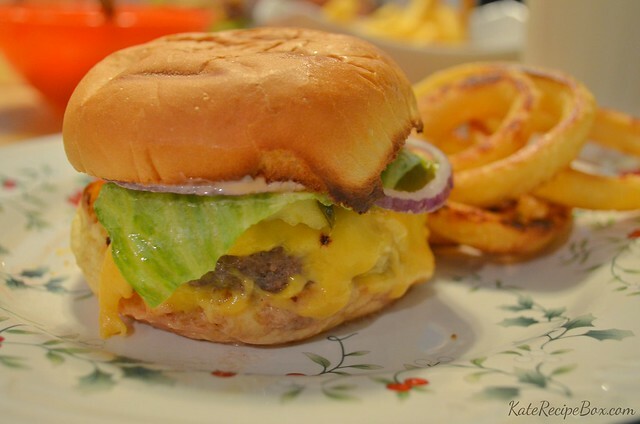 No overly fancy ingredients – but the process makes such an awesome burger. 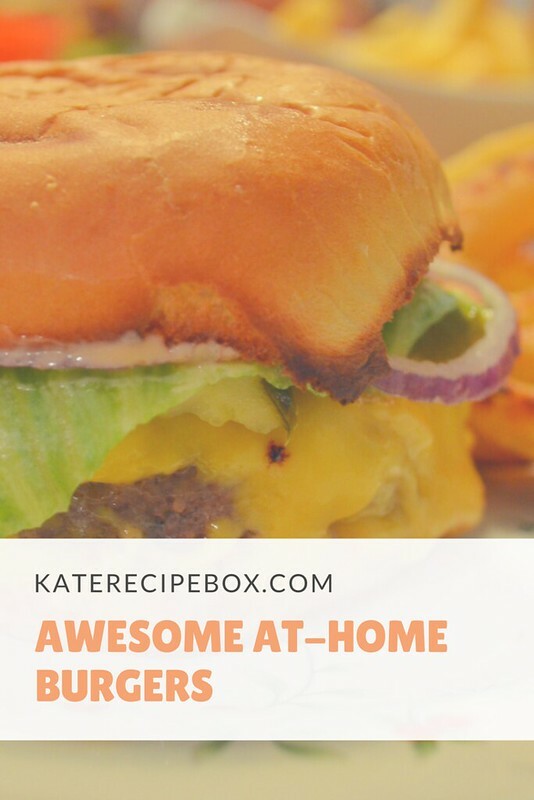 Whip up an easy, special sauce, toast your buns, and wrap the burger in wax paper before serving and you’ll never be running for takeout burgers again! 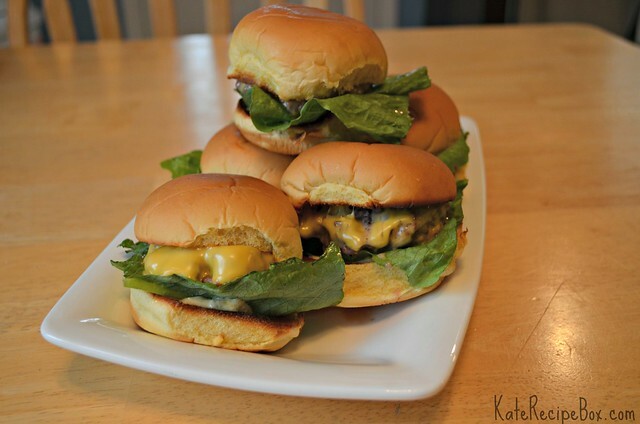 Make 6 burger patties from the ground sirloin and refrigerate. Prep your toppings and cut 6 sheets of wax paper. to wrap the burgers in. Heat a large skillet on medium-high with just enough oil to cover the bottom. When the oil starts to smoke, reduce heat to medium and add patties. Season with salt and pepper. Cook for 3 minutes, flip, cook for another minute. Add cheese slices to the top, cook for another minute and a half, then cover to melt the cheese. Place each burger patty on a toasted bun and top with lettuce, tomato, onion, pickle, and Good Stuff Sauce. Wrap each burger in wax paper and let rest for 2-3 minutes before serving. Disclosure: I received these products complimentary in exchange for an honest review. All opinions are my own. Food blogger burger confession: unless I’m making some fancy burger, we typically buy frozen patties. (Gasp!) I know, I know. We’re under no illusions that the frozen burgers you get in the store are just as good as ones you make at home, but for me, burgers are usually a quick meal and trying to deal with getting uniform patties quickly is always a turn off. And, I’ll fully admit, when I received this Aluminum Burger Press from Cave Tools to review, I thought this would go into my pile of cooking tools for special occasions. I was so, so wrong. I loved it so much that I immediately bought another to give as a Christmas gift! This burger press is awesome. It helps you make uniform patties super quickly – and they include 200 burger papers which help immensely with cleanup. The idea is easy – put a burger paper down, place your ball of ground meat on top, add another burger paper, and press down. 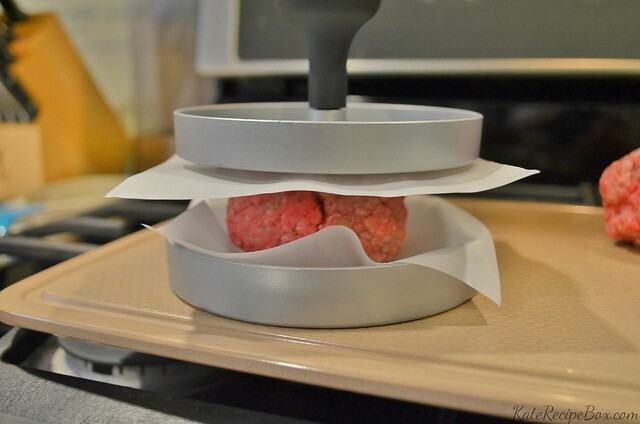 The burger paper largely keeps the raw meat from touching the burger press – which makes it easier to wash! 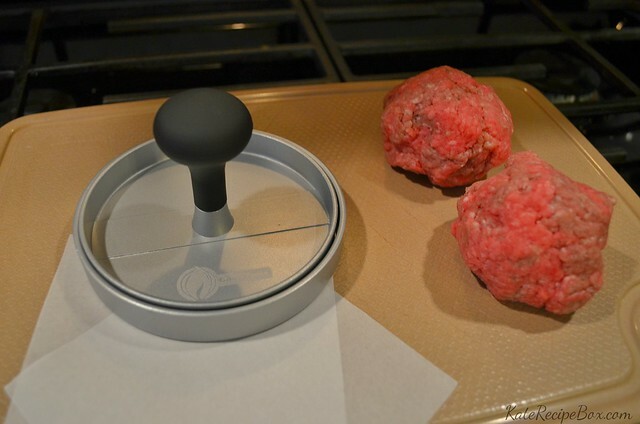 – and then makes it super easy to transfer the patties to a plate to be cooked. Quick tip to stretch your burger papers: Once you’ve transferred a finished patty to a plate, you can peel off the top paper and use it (raw-meat side up) as the bottom paper for the next burger. We all relished the fresh-made burgers on a weeknight. My next project is to try freezing my own burgers – with the press and the burger papers, I think it will be a breeze! The Aluminum Burger Press can be purchased from the Cave Tools website – use code BURGER15 to take 15% off. They can also be found on Amazon. Another great company I was introduced to via #CookoutWeek was Swine Dining. They specialize in small batch, made-by-hand spice mixes – and they’re awesome. They sent us three spice mixes to try and we loved them all. Their signature blend is “Wimpy’s BBQ Rub” – called Wimpy’s because there’s no heat. We used it last night to make up a batch of our favorite pulled pork. We didn’t miss the heat – and it made it much more toddler-friendly. It was an awesome dinner for the whole family. Wimpy’s is currently available via their Etsy shop. 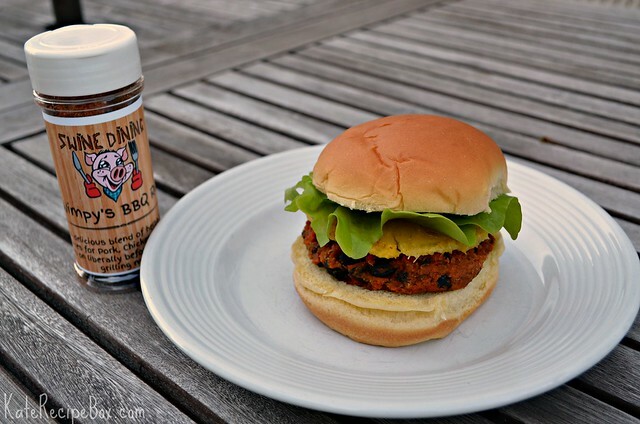 They have plans to launch the other two spice mixes we tried – Jamaican Me Hungry (which I used in these burgers) and Dilly Dust – via Kitckstarter. 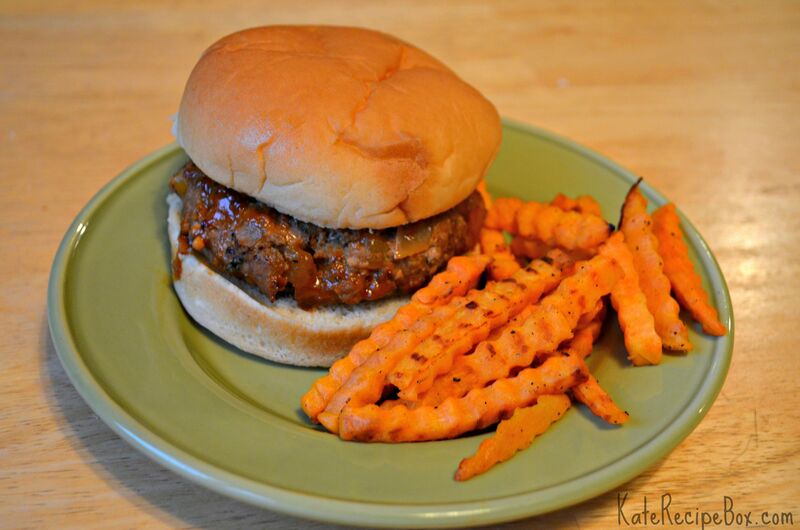 As soon I as I saw they sent us a jerk seasoning, I knew I wanted to make some sort of sweet potato burgers. The patties were too soft to place directly on the grill so I opted to bake them and they came out fabulous. If you wanted to get the grilled flavor, you could make them ahead of time and reheat on the grill. Preheat your oven to 400 degrees. Wash the sweet potatoes and poke all over with a fork. Place on a baking sheet and roast for 45 minutes – 1 hour, until very tender. Let cool until cool enough to handle. Scoop out the flesh and mash with a fork. Reduce the oven to 350 degrees. Mash half of the black beans and mix into the sweet potatoes. Mix in the remaining black beans, quinoa, breadcrumbs, egg and jerk seasoning until thoroughly combined. Divide into 8 patties and place on a parchment-lined baking sheet. Bake for 45 minutes, flipping halfway. Serve on a bun, topped with pineapple and lettuce. A Shake Shack opened in our town last year and it’s been… dangerous. It’s probably the easiest and tastiest to-go burger around. And then add a milkshake? Yeah, bad news to have that in your backyard. I was craving some last week when I remembered Sarah had blogged a copy-cat version a few years back. When I looked at the recipe, I was skeptical they’d be really that simple – but they are. These hit the nail on the head and totally cured my craving. Now I’m trying to decide if it’s more dangerous to have a Shake Shack so close or to know I can make them at home so easily. In a small bowl, whisk together the mayonnaise, ketchup, yellow mustard, chopped pickle, garlic powder, paprika and cayenne. Set aside. Split rolls and butter cut-side lightly. Broil until lightly toasted. After toasting, top with 1/2 – 1 tsp. of sauce, a slice of lettuce and a slice of tomato. Set the prepped buns on parchment paper. 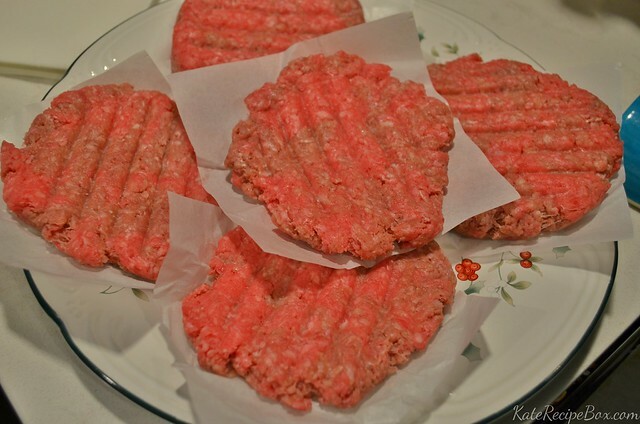 Divide the ground sirloin into eight equal parts and form into patties. Season with salt and pepper and place seasoned-side down in a cast-iron skillet over medium-high heat. Press down and season again. Cook for about three minutes, until the bottoms have a nice crust and then flip, top with cheese and cover until cheese melts. Transfer the cooked burgers to the prepped buns and wrap in parchment for a minute to let the juices absorb. (This is what really makes the burgers – don’t skip it!) Unwrap and serve immediately. When I was pregnant with Jake, all I wanted to eat was pizza. I tried to shake it up by making as many different pizza-flavored dishes as I could find, but I’m pretty sure Mark was sick of pizza after first trimester. This pregnancy, burgers have been the big hit. I joked with Mark early in the pregnancy that maybe it was a girl this time since I was craving something different – but I didn’t really expect to be right! This pizza was one of my I’m-trying-to-pass-this-off-as-not-burgers-again meals. It was a huge hit here – and one we’ll make again even after the burger cravings are gone! In a medium skillet, brown the ground beef and onion. Drain the grease and stir in the Worcestershire. Roll out the pizza dough and bake for 8 minutes. While baking, whisk together the ketchup, mustard, mayonnaise and relish. 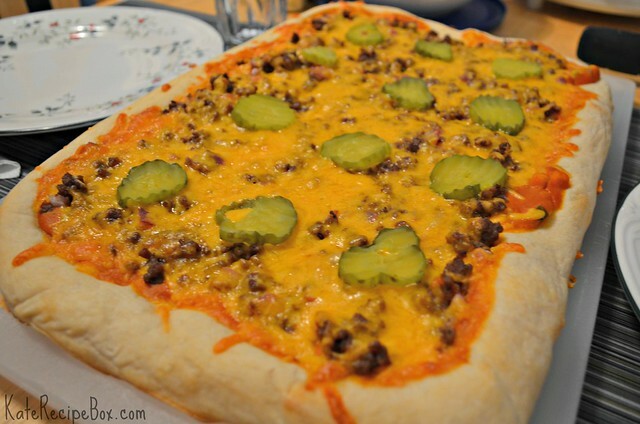 Once pre-baked, remove the crust from the oven, spread the sauce over evenly, top with the ground beef, cheese and pickle slices. Return to the oven for an additional 6-10 minutes, until cheese is melted and the crust is golden-brown. In a lot of ways, this has been the perfect summer. We’ve had friends from all over visit, we made trips to Boston and Hershey and the shore, we introduced little man to swimming and ice cream and county fairs. We celebrated my 30th birthday, little man’s first birthday and our 6th wedding anniversary. I’ve also gotten back into a few things that had fallen by the wayside during the last year – mainly, working out and reading. Instead of spending a lot of time in the kitchen, I’ve been revisiting old favorites that I know I can whip together quickly. It’s been nice to have a few weeks to just cook and not worry about trying new things or photographing meals. The break was good for the soul and helped revive my drive to cook – my dinner plans for the next few weeks are more ambitious than I’ve felt in a while! These burgers were, mostly, a “use up what you’ve got” recipe. I had turkey that needed to get cooked that day and some mint that I had forgotten to toss in another dish (oops), so when I saw this on Pinterest it became dinner for the night. I was still on “blogging break” when I made these so I half-heartedly snapped a picture before I dug in – but despite the lackluster snapshot, these were too good not to share! 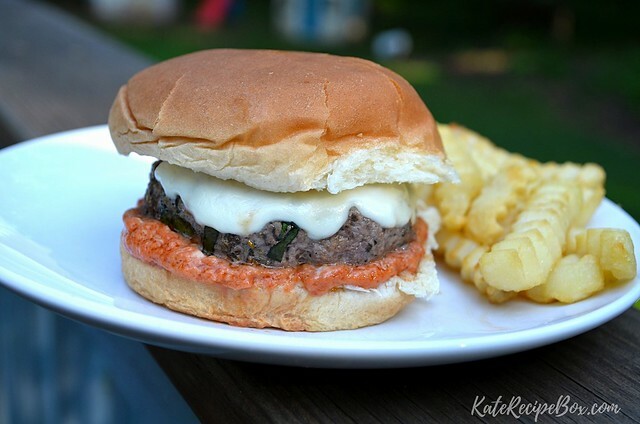 These are a really great summer burger. In a small bowl, whisk together the barbecue sauce and teriyaki sauce. Set aside. In a larger bowl, combine the turkey, mango, mint, onion and seasonings with your hands. When thoroughly mixed, divide into 4 equal balls and shape them into patties. Brush the tops of the patties with the sauce mix. Cook the burgers on a medium-high grill. Place them glazed-side down and brush sauce on the other sides. Flip halfway through cooking and glaze again. Since the meatless Friday series is over, how about a meatless Monday post? I had full intentions of making these as one of our Lenten Friday meals. I must have had the ingredients hanging around for a full two weeks and something else kept coming up. I finally got around to making these last week and they’re sort of amazing. 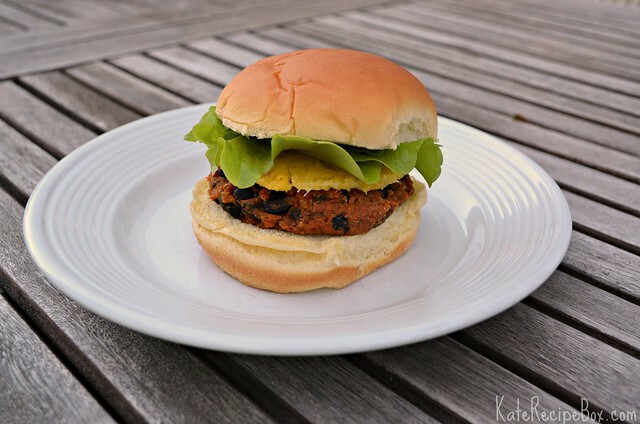 Meatless burgers are a little hit-or-miss for me. I make a lot more than a share here. For me, it has to feel like a burger to be worth sharing – and boy, this one totally fits the bill. I think it may be the most “meaty” meatless burger I’ve made. And it’s smothered in buffalo sauce so it has that going for it, too. It’s meals like this that make me think I could actually be a vegetarian. In a medium saucepan, bring 1/2 cup water to a boil. Add quinoa, reduce heat and let simmer for 15 minutes or until all water is absorbed. Fluff with a fork and set aside. In a food processor, pulse the chickpeas until they resemble crumbs. Transfer to a large bowl. Add oats to the food processor and pulse a few times until they are a finer crumb. Add to the large bowl with the chickpeas. To the bowl, add in the quinoa, shallot, garlic, buffalo sauce, egg, salt, pepper and breadcrumbs. Mix by hand until everything is well incorporated and divide into four equal sections. For each section into a patty. Heat a large skillet over medium-high heat. Drizzle with oil and cook patties for 8-10 minutes, turning halfway through. 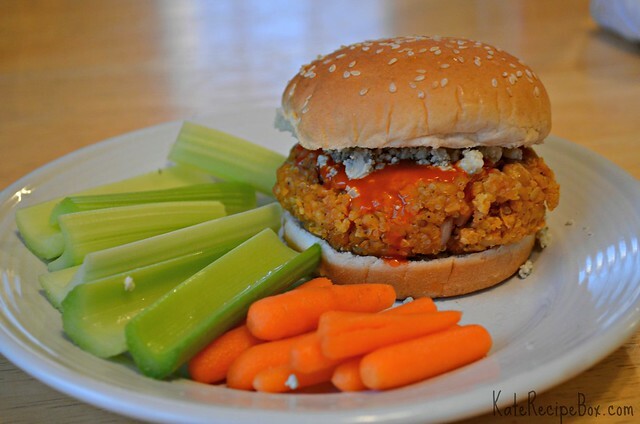 Serve patties on buns, topped with blue cheese an additional buffalo sauce. For some reason, Thursdays are my power day. I always feel the most together and most ambitious on Thursdays. It’s also the day I make my meal plans for the next week – which is both a good and a bad thing. Bad because I’m often more ambitious with the plans than I feel like being when I actually get around to cooking dinner. Good because when I power through the plans, I often get some pleasant surprises. When I started making these, I had a what-were-you-thinking?! moment. We don’t generally eat a lot of Thai food. Mark isn’t crazy about peanut sauce. Veggie burgers are pretty hit-or-miss around here. Why did I think these would be a good thing to try mid-week? Luckily, they were a huge hit. I served leftovers for lunch the next day – bun-less, on a bed of slaw – and they were even better. And we froze a few to break out for lunches during Lent. I already can’t wait. Rinse and drain the quinoa. Heat 1 tsp. of oil in a small saucepan over medium-high heat, until shimmering. Add the quinoa and cook, stirring frequently, for 2-3 minutes to lightly toast. Stir in the vegetable broth and bring to a boil. Cover and reduce heat to a simmer. Let cook for 15 minutes, then remove from heat and let stand for 5. Remove the lid, fluff and set aside to cool. In a food processor, combine the chickpeas, oats, cornmeal, salt, paprika, garlic and sesame oil until well blended. Pulse in the egg. Add the mixture to a large bowl and stir in quinoa, red pepper, onion and remaining 1 tsp. olive oil. Stir together until evenly mixed, divide into 6 equal balls and roll into patties. In a small bowl, whisk together the peanut butter, honey, soy sauce, ginger, red pepper flakes, lime juice and water until smooth. Set aside. Heat a generous drizzle of olive oil in a large skillet over medium-high heat, until shimmering. Add the patties and cook until both sides are browned and cooked through, about 3-4 minutes per side. 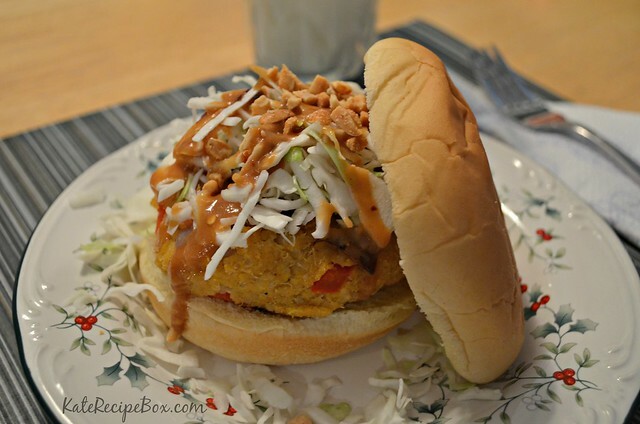 Serve the patties on buns topped with slaw, peanut sauce and chopped peanuts.